Why choose a Porsche lease? When you imagine yourself behind the wheel of a new Porsche, you’ll imagine an unforgettable experience with unparalleled comfort, potent performance, and advanced technology features. By leasing a Porsche, your dream can become a reality with several additional advantages. 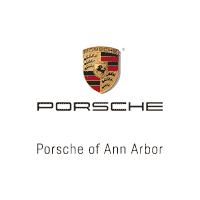 Porsche of Ann Arbor is dedicated to giving you the Porsche lease experience that you deserve. Choosing a Porsche Preferred lease means that you’ll receive flexible, attractive terms along with reasonable monthly payments on new and pre-owned (up to five model years old) Porsche models. Leasing a Porsche can be an attractive alternative to a cash purchase or traditional financing thanks to minimal initial cash requirements, modest monthly payments, and pre-set residual values. Replace – Turn in your current model and receive a new Porsche in return. Renew – Not ready to give up your current model? We can extend the current lease for up to an entire year or allow you to purchase additional miles. Retain – Leasing doesn’t mean you have to give up your right to purchase. Should you choose to exercise it, we’ll provide all the necessary information and help arrange financing. Return – We’ll assist with inspections and returns to make sure everything is wrapped up as quickly and conveniently as possible. Porsche of Ann Arbor is your authorized lease return center. If your lease is nearing its end, our team will help you throughout the process with lease end pre-inspections. We’re also happy to discuss several of the great lease-end options you’ll have access to as a Porsche lessee. These include special incentives and programs which make it simple and cost-effective to get behind the wheel of your next Porsche.